The impacts of the U.K.’s Brexit vote to leave the European Union will undoubtedly be playing out for years and years to come. But here’s one short-term effect: the HTC Vive VR headset is now £70 more expensive — rising from its original pricing of £689 to £759 (+ P&P) from today. In a blog post HTC blames the price hike (it calls it an “adjustment”) on “recent currency valuation changes and the current value of the GBP” — a.k.a. 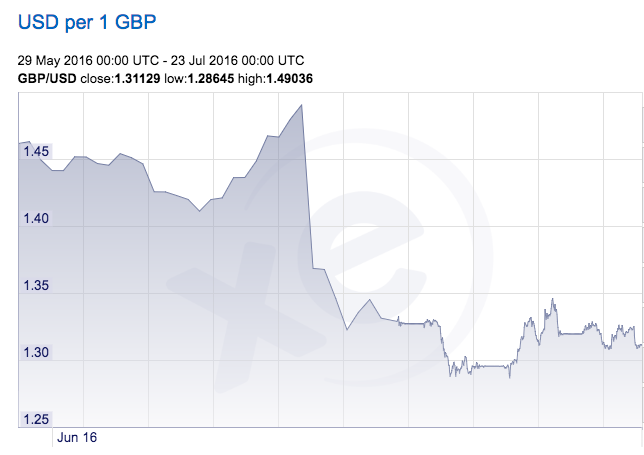 Brexit, which triggered a massive fall in the value of the pound (which remains very far off a recovery on that front). It’s also worth noting that Vive rival Rift’s price-tag is just for a VR headset; Oculus’ delayed Touch controllers are due later this year, and will cost extra (how much more is not yet clear). Whereas the Vive is an all-in price — you just need to already own a powerful enough PC to drive the thing. And now, from today, be willing to stump up even more cash to dive into virtual reality.